Our website now has a bold, colourful new look which better suits the personality of our business. It feels refreshed! The benefit of working with Krishna is that she really listens to you to identify what you want from the project, and is clear about timelines which helps you plan accordingly. She has a very clear process. I know I can rely on Krishna to deliver when she says she will. "Krishna was very giving of her expertise and was completely reliable in terms of timings as well as the design she produced"
We were looking for layout and design for a 'Manual' PDF for our membership website. Krishna was very giving of her expertise and was completely reliable in terms of timings as well as the design she produced. The PDF looks great. It includes a lot of information so it was important that the layout was clear as well as attractive. Members have really appreciated the document as it helps them get the most from our site. Krishna is a great choice for creative and clear design work and is a pleasure to work with. I'd recommend her. The rebrand Krishna did really helped to cement how I view the business, what I think it stands for and how I wanted the business to be reflected. It has given us a clear identity that our customers really value and we have developed a client base that reflects our thinking. Krishna's efficiency and insightfulness during our time working together is really wonderful. She helped me to no end in pulling my thoughts together. I never felt she was imposing her views on me; but that she was being a brilliant enabler in helping me to understand myself. Krishna's ability to keep on top of schedules/time frames was just what I needed at the time. She has been a pleasure to work with and I am still seeing the consequences of that great work a year on. "I have received a number of high quality leads that I would not have had without the professional appearance of the website and branding developed by Krishna"
I was after a cool, professional brand including a meaningful logo and a clear, modern website to promote my new business - Discovery Analytical Consulting. Krishna has a very clear and well thought out process that we followed methodically with distinct sign-offs at every stage. This was invaluable to me, as someone without much experience in web site design, in terms of understanding progress of the project. The website has only been live for one week but all feedback so far has been positive. Furthermore, in the past week I have received a number of high quality leads that I would not have had without the professional appearance of the website and branding developed by Krishna. Definitely get in touch with her if you are small business with design and branding needs! Krishna was clear and communicative throughout and was a pleasure to work with! Krishna was initially recommended to me through a friend and she turned out to be a great recommendation! Krish did a great job with the homepage redesign for WeddingPlanner.co.uk. It was delivered this on time, Krishna was clear and communicative throughout and was a pleasure to work with! "She has a skill for design, especially all the small details necessary to make your vision a reality"
I wanted a great website that was clean, clear, concise and reflected all the facets about me. I didn’t have any idea how to start or under what brand either, so the process was a steep learning curve for me as I didn't know many terms. Krishna made the process fun, informative and has certainly fitted the brief I gave her at the very beginning. I think anyone considering putting together a brand or a website for their business should definitely get in touch with Krishna. She has a skill for design, especially all the small details necessary to make your vision a reality. Krishna has been thorough and patient and I would definitely recommend the process and the quality. Her process brings your personality out into the brand, from colours, to feel, to font size and shape! 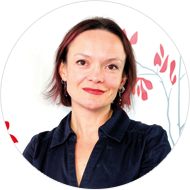 "I really loved Krishna's process which challenged thinking and homed in on what was important"
I needed a digital designer to help me with a project launching a coaching client as a scientific consultant. I liked what I saw from KSD's website and was not disappointed. Krishna's work enabled my client to be able to clearly communicate his value proposition to potential clients and within a day or two of launch my client is already receiving requests for information from all over the world. I really loved Krishna's process which challenged thinking and homed in on what was important. Thanks for keeping my client on the path and focused throughout the process it was indeed worth it. "Krishna gave me the free time I needed to concentrate on the core aspect of my business"
Having Krishna design my brand and website was a breath of fresh air! Her skills and professionalism were just what my project required to reach completion. Krishna gave me the free time I needed to concentrate on the core aspect of my business, coaching. I was able to relax knowing that my website would look professional and polished. Since going live clients have been signing up for my coaching program from all over the world. My website is the perfect showcase for my business, and my branding is attracting all the right clients. I would highly recommend and use Krishna's services again. "She is great and can really make your vision come alive!" It was important that I found a designer that could understand what I was after. Working with Krishna was really enjoyable as she was easy to get hold of and she always listened to how I wanted my logo, brand and website to look. If you are after the whole package like I was I would say definitely contact her! She is great and can really make your vision come alive! Overall brilliant job and thanks for your patience and work. "She immediately understood the design concept that I had in mind and managed to put my vision into something great!" Krishna was great at communicating and very clear from the start about the process and delivery schedule. She immediately understood the design concept that I had in mind and managed to put my vision into something great! Definitely contact her if you are an independent business looking to differentiate yourself from the crowd! It was a pleasure working with Krishna..she was professional and very fast given the short time constraints I gave her. I was very pleased with the final product and I look forward to working with her again.